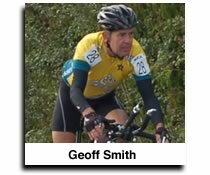 The site contains information about the Kent Cycling Association annual 12 Hour Time Trial which takes place on the roads of Kent. Riders are dispatched at minute intervals and ride over a set course for 12 hours. The last few hours are ridden around a circuit which has timekeepers at various points. Riders complete as many circuits as possible until the time runs out. When a rider has completed his 12 hours he rides on to the next time keeper before stopping. His final mileage is based on a calculated distance between the last two timekeepers. The 2017 Event will be on the 25 June 2017. There have been some minor amendments to the 2017 KCA 12 Hour course. The event starts in Bull Lane and turns at Singleton RAB (Not Ashford Matalan). Riders will then Turn at Kingsnorth 1 (also known as Park Farm, and Tesco RABs) retrace to the top of Ham Street Hill and follow the link road to join the A2070 northward. They will then ride to Cloverleaf where they turn and join the previous course. Revised distances are on the CTT South East District courses page. We have updated the site with the latest course details (June 2016). You can Download the booklet version of the 2015 Start Sheet here (the 2016 was cancelled due to a lack of marshals and other helpers). that prints double sided and there is also a version that prints single sided that can be downloaded here. The Result sheet for 2015 can be downloaded as a booklet version here that prints double sided and there is also a version that prints single sided that can be downloaded here. The course covers roads between Bethersden, Ashford, Rye, Brenzett and Ham Street. Details of the latest course can be found here. The course is broken down into various circuits and there are maps of the various sections. Regular competitors will be aware that the course may be amended nearer the event date to take account of road works and other potential problems. You can NOW access the course on MapMyRide maps (PLEASE NOTE THAT THIS SHOWS THE ROUTE NOT THE FULL DISTANCES). The finishing circuit is here. Esther Carpenter, 10 Maplehurst Road, Baldslow, St.Leonards-on-sea, East Sussex TN37 7NA. Entry fee is £12 for bikes and trikes, and £24 for tandems. Cheques payable to Kent Cycling Association. You can download a blank entry form here All the relevant forms are accessible from the Forms page. Information on previous years events can be found on the Results Page. You can find more information on previous events in the archive. You can follow the progress of the riders on the Live Distances page. This gives updates on a continuous basis (Mobile access of course dependent) during the day. The number of laps for each circuit will be recorded as the Riders pass Brookland RAB during the day so times may be earlier or later than the time at Brenzett, which is where the distance is calculated from, depending on the direction of travel.